I'm so looking forward to Friday. Ryan and I are celebrating his birthday early by hitting up Tokyo Disney! 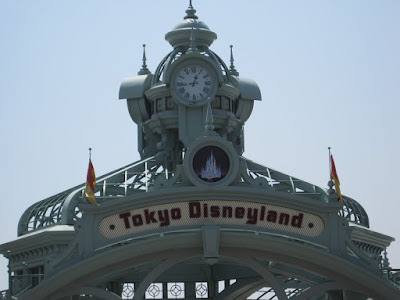 We're going to wake up at the crack of dawn, take the almost 2 hour train ride there and then spend all day enjoying the wonder that is Tokyo Disneyland. I can't wait! Either can Ryan for that matter, as many of you may already know - he is a HUGE Disney fan. Happy early birthday, Ryan!! Someone I know has a big birthday coming up! That's right, Ryan's birthday is right around the corner and I am busy putting together a variety of fun little trinkets for his big day. 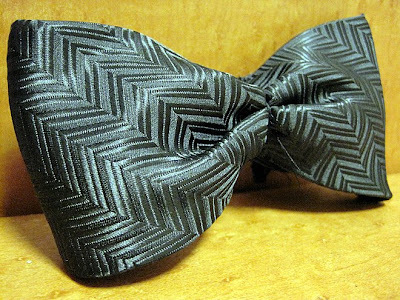 Trinket number 1: old tie transformed into new bow tie. The tutorial over at Make It and Love It was great! Ok, by "old tie" I really meant $1 tie from the dollar store. Because this is a surprise for Ryan, I chose to buy a tie (for $1 yeah!) instead of taking one from his closet and chopping it up. I thought he might get suspsicious. But if you have old ties laying around, they would be perfect for this project. It was a quick project and I'm pretty happy with how it turned out. I won't be able to give my full opinion until I see how it looks on him, but I think he'll like it! And...I've finally started a cross stitch piece! I like cross stitch better than embroidery, maybe. 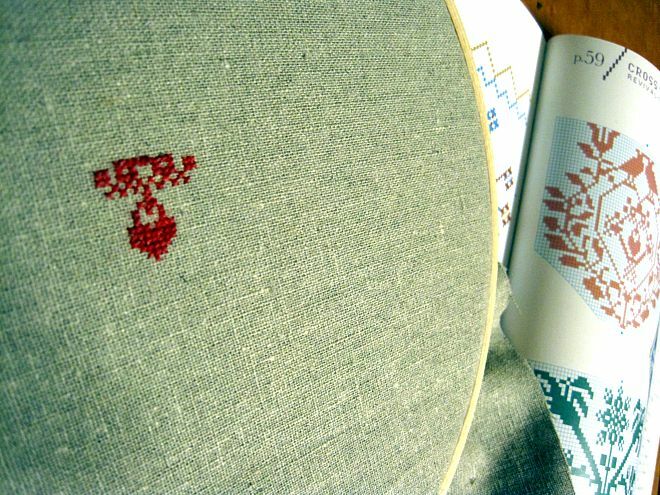 I sometimes like the look of embroidery better on things, but cross stitching is way easier. Still a slow-moving project though. 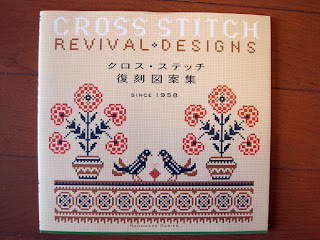 I'm using a pattern from my new cross stitch book, Revival Designs. Hopefully I'll finish before the summer's over. 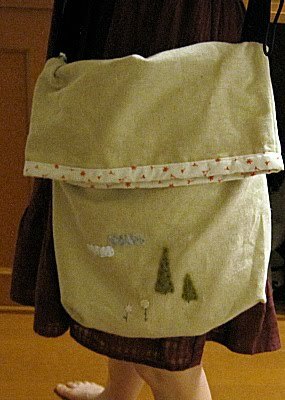 I finally got around to finishing this foldover tote! I'd been wanting a new tote for stashing all my knitting supplies because they end up all over my apartment. 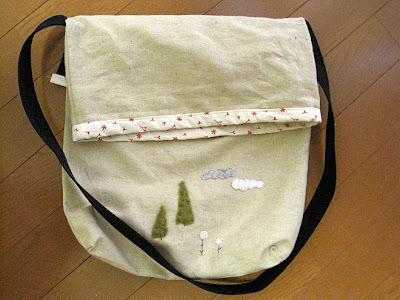 This bag is great because it's tall enough to fit knitting needles and still foldover to close at the top. I used embroidery patterns from the new book I got a couple weeks ago. 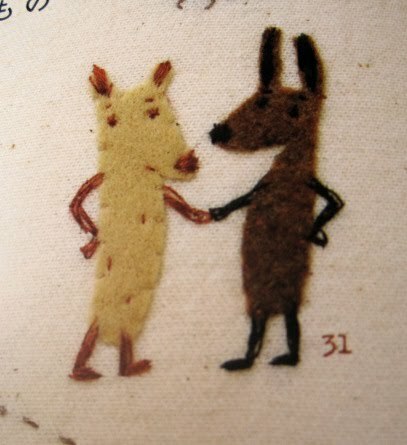 I can't say I'm in love with embroidery. I'm a quick-crafter and like to get projects done fast. 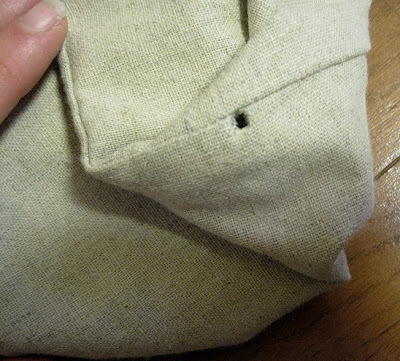 Embroidery involves a lot of time and patience. Don't get me wrong, I still like embroidery, but just don't think I will be adding embroidery to every single thing I do. Yes, that is a giant hole in my bag if you're wondering. I bought these really cute brass button-fasteners that I was going to use in place of the grommets. Then spent over an hour trying to figure out how to use them. The instructions were in Japanese (again, which I do not speak) and after multiple attempts at using them, I decided to just buy the grommets. Craft fail adverted, for now. It's done, hooray! I live in a pretty small apartment, and without an oven. And I love baking. Adjusting to life without baking has been interesting. I find myself filling my time in other ways, of course, but I really miss baking - and eating what I've baked. I've never been one for microwave cooking, but when you don't have an oven you'll try anything. 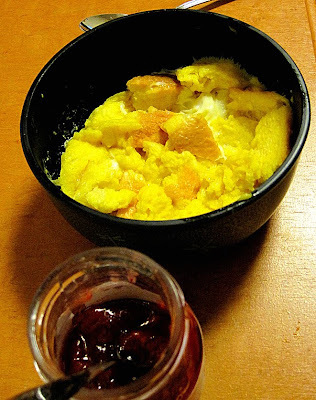 I stumbled across this microwave bread pudding for one recipe, and just had to give it a whirl. In place of the sugar, I used honey. I think it would also be quite delicious using maple syrup instead of the sugar, it would give it some nice flavor. I just used some white bread I had in the freezer, but a coffee bread of some sort would work perfectly. Tear up bread, mix with wet ingredients and pop in the micro for 2 mins. I ate mine with some strawberry perserves. If I had ice cream, I would have eaten it with that instead (because ice cream goes with everything). Verdict: It's good, but I still wish I had an oven. 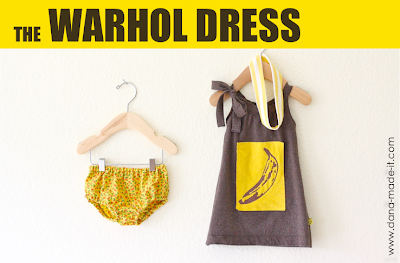 This adorable little dress over at MADE is absolutely precious, and best of all - absolutely free! 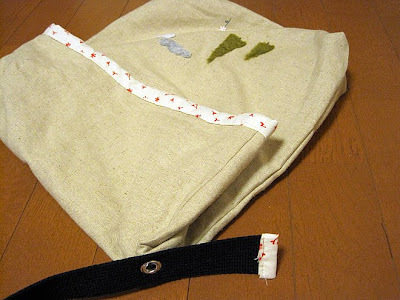 This cute pillow tutorial is over at Just Another Hang Up looks modern and simple. 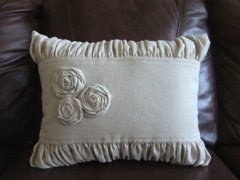 If I had a sofa, I would totally be making one of these right now. I’m currently in the middle of a few projects. I’m using my new embroidery book to design this fold-over tote. I haven’t finished the embroidery part yet. I can't decide what to add...a tree? an animal? 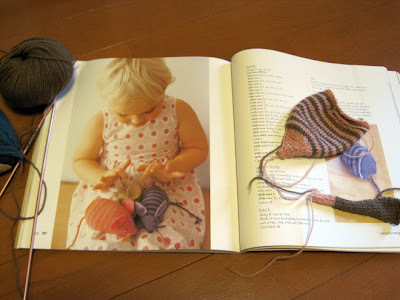 I’m also working on another project from Knitted Toys by Zoe Mellor. 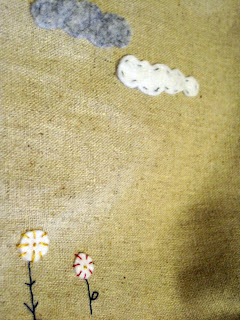 I want to make a set (4 or 5) of the toy mice. Instead of just stuffing them with the usual stuffing, I’m going to put something different in each one. Maybe rice in one, a rattle in another, a squeaky center in another…change it up a bit so each mouse isn’t the same. It's supposed to be rainy all week here, hopefully I'll get a lot accomplished!! 1 year until we're MARRIED!! 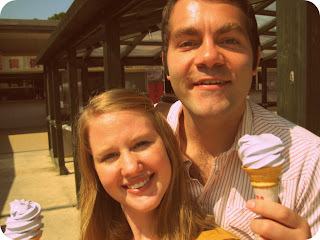 In 1 year, I get to marry this guy!!! I'm so excited and can't wait to get hitched to Ryan, he's the best! 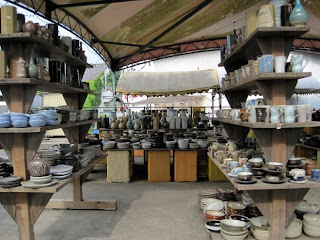 We decided to have a little pre-annivseray celebration and went to Mashiko, a small town known for its pottery. 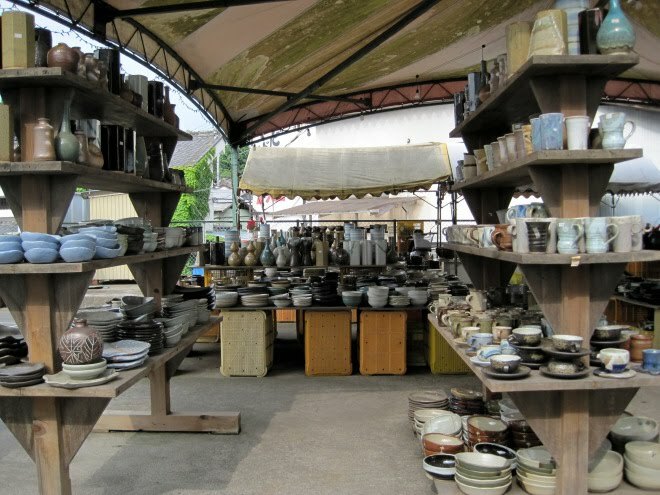 The main drag had tons of pottery shops and galleries. 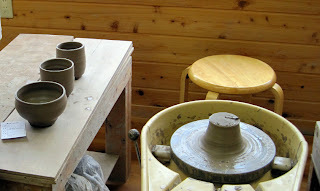 It was lots of fun looking through hundreds of clay pots, cups and peices of art. 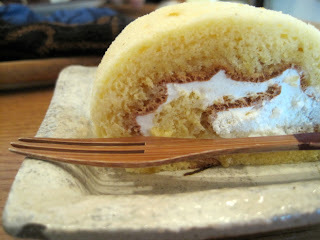 Of course, we wanted to start the day off right, so we went to a local cafe for some coffee and lunch...and cake. Delicious cake. Next up? Make some pottery! 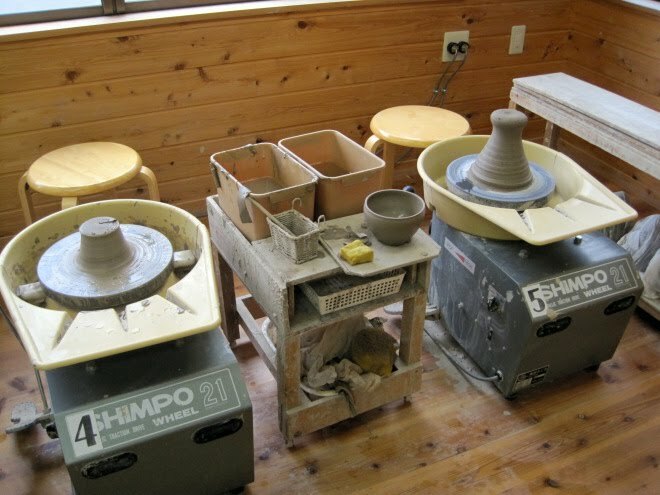 Ok, Ryan wasn't quite as interested in doing pottery as I was, so he went to a museum down the road from this little pottery studio. Before we left, I had done some research on an English speaking pottery class. Unfortunately, it was no where to be found when we arrived. Luckily, we stumbled across this place, and even though my instructor only spoke roughly 10 English words (hello, yes, no, stop, be gentle...), I muddled through my lesson and made 3 pieces. One bowl and two "cups". I say "cups" only because you could fit at least 3 cups of normal coffee in each of the two "cups" I made. Good thing I like lots of coffee. The class and experience were so much fun! I would love to try it again sometime. I won't have the finished pieces for about a month (at least that's what I think she was trying to say), but I'm so excited to have pieces that I've actually made! For the bowl and one "cup" I chose a black glaze, and for the other "cup" I chose a natural glaze. I can't wait to see how they turn out! 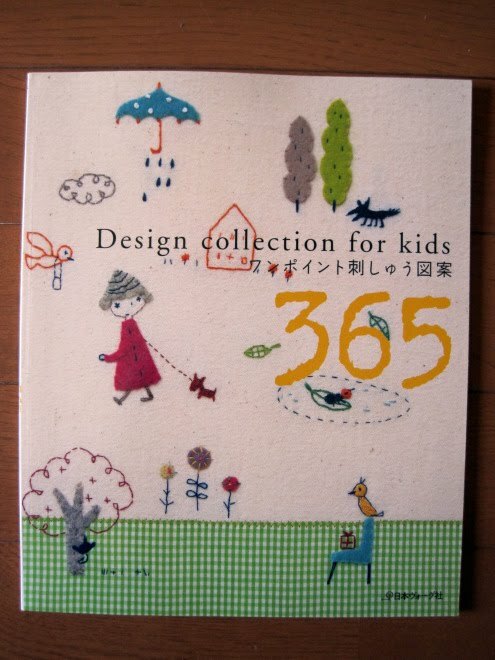 I bought my first crafting books in Japanese yesterday! There is such a wide variety of crafting books here that it was a difficult task narrowing down my buys to just 2. Yes, cross stitch. 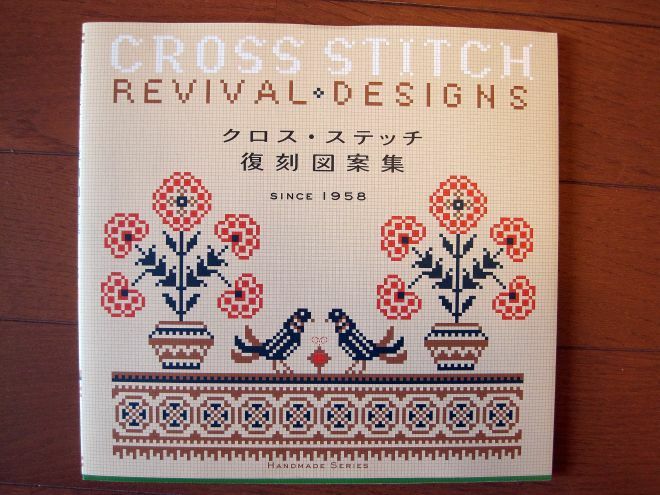 I've been wanting to dabble in some old-school cross stitch for a bit, and when I saw this book, I knew it was calling my name. I did some cross stitching as kid but never really thought about getting into it until recently. Every now and then I'll see a cross stitched piece and want to recreate it. Namely, my grandma's wall hanging of the 1859 poem, Overheard in an Orchard. 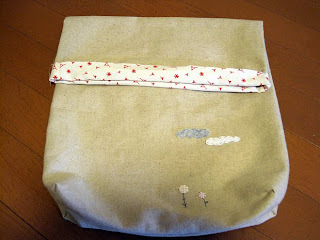 As I mentioned before, I want to work on my embroidery skills. 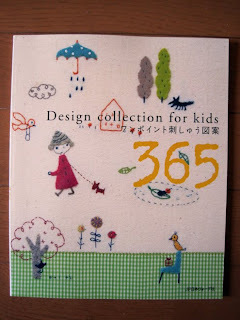 I thought this book had some really fun, creative ideas that you could use to spruce up some onesies or kid's t-shirts. 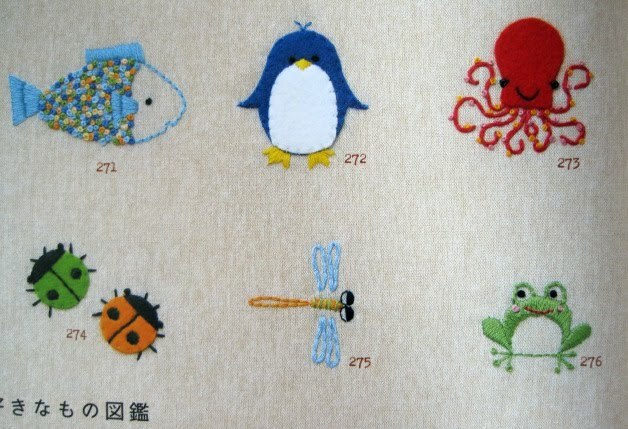 Even though it's in Japanese (which I don't speak a lick of) there are detailed pictures explaining each stitch. There's even a few pages at the end of iron-ons! The wolves just make me laugh. And the octopus and penguin, how cute are they? It's a beautiful day here. I had good intentions of taking full advantage of the weather by laying in the park. From the title of this post and my first couple sentences, I'm sure you know where this story is heading. I packed up my outdoor blanket, a good book, my knitting and then applied some sun screen and headed out the door. I arrived at the park, found a nice, slightly shaded area and laid out my blanket. No sooner had I sat down and pulled out my knitting did I notice the ants. These weren't your average ants either, we are taking huge ants with no fear of humans. At first, I tried to act cool. Ha. Two minutes later I was jumping around like a fool trying to get the ants off of me and my stuff. I then promptly headed over to the nearest coffee shop to continue my afternoon inside, away from the (killer) ants. I also stopped by the craft store this morning to pick up more wool for felting. I did more of the design on my dala horse but can't decide if I like it. I should work on the design a bit, I think it looks a wee bit sloppy. I'm also not sold on my color choice. No matter, I have plenty of wool to experiment some more! 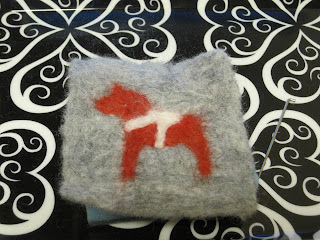 I'm still sticking with simple projects for felting. I'm attempting a more intricate design on my next batch of coasters. Here's a sneak peak of what I have so far. I chose to cut the edges on this one just to compare to the other look (see this post) and see which I like better. 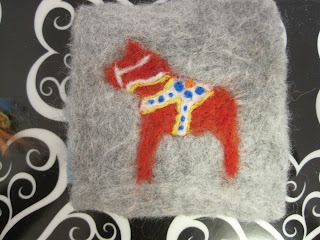 My heritage is Swedish, so I chose to try to needle felt a Swedish Dala Horse. I don't have some of the colors I need for the design, so this was as far I was able to felt. I'll get some blue, yellow and maybe green to finish up the design on the white areas this weekend. Next felting project: handbag with Swedish flair! I made a few of these folding art packs a while back, and have been wanting to make some more. Plus, I need to start making a dent in the stack of kids' fabric I've been acquiring since I got here. 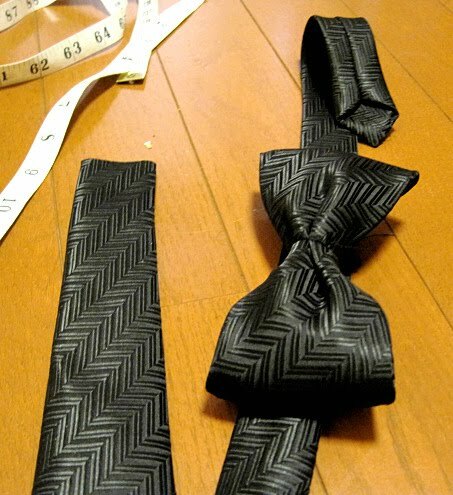 So I figured this was the perfect next sewing project. The Little Red Riding Hood print it one of my favorites. Even the Big Bad Wolf looks cute. I just think these folding packs are so cute and handy for kids. You can't quite tell from the picture, but this art pack would hold markers, stickers, crayons, glue sticks, and even a small note pad. Great for taking to restaurants or in the car for a road trip. Make one! 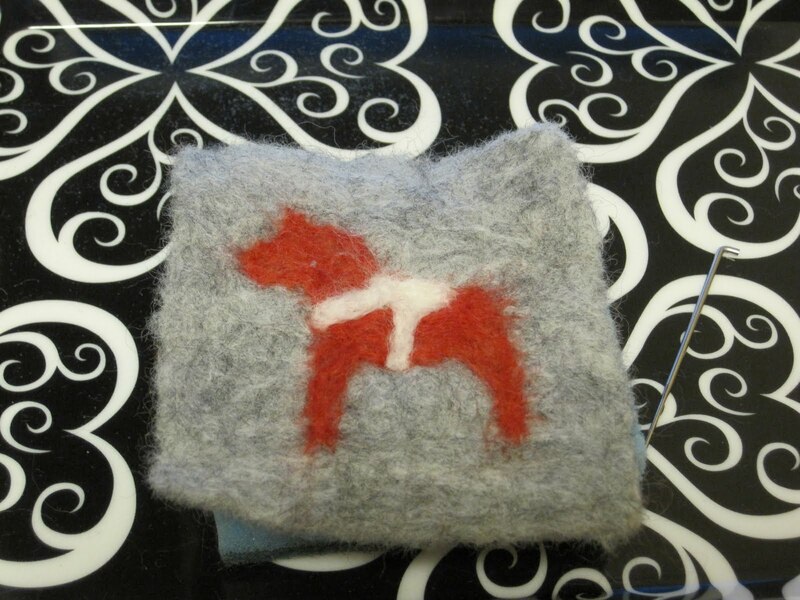 Ever since I discovered how much I love needle felting, I've been on the lookout for new felted projects. I even bought some more wool (see picture on left). I got a 5 pack of colors for only $1.75!! I redeemed some craft points I had received after buying some fabric a while ago, and it knocked about $4 off. I love getting good deals!